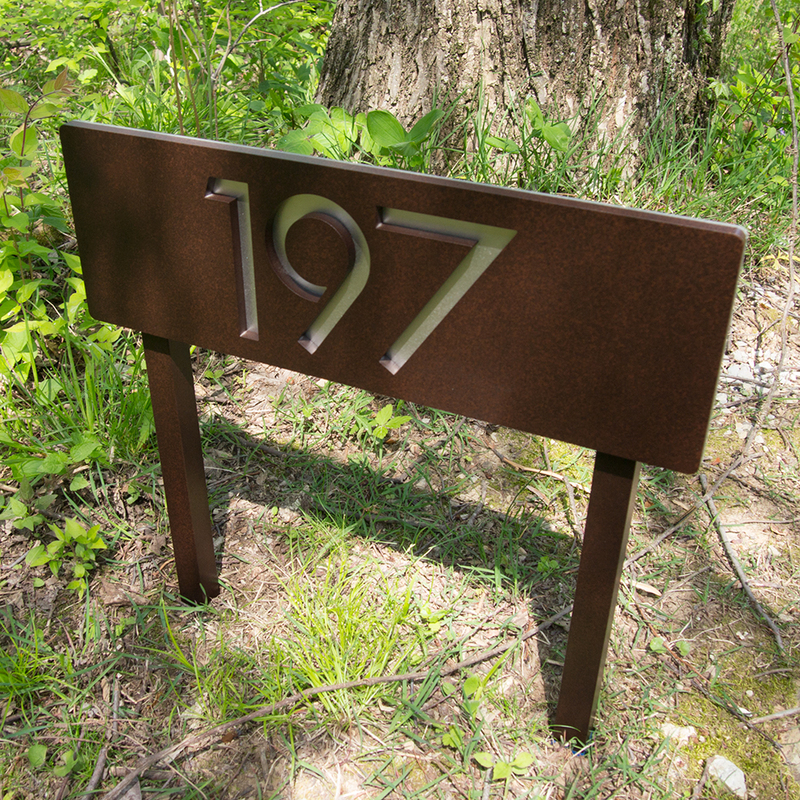 The Modern and Sleek house number sign made from 3/8" aluminum. For up to 5 numbers. Availabe in 15 color combinations. See color chart for colors and decriptions. Color in first photo is Bronze Sparkle. 2nd photo is Dark Rust. 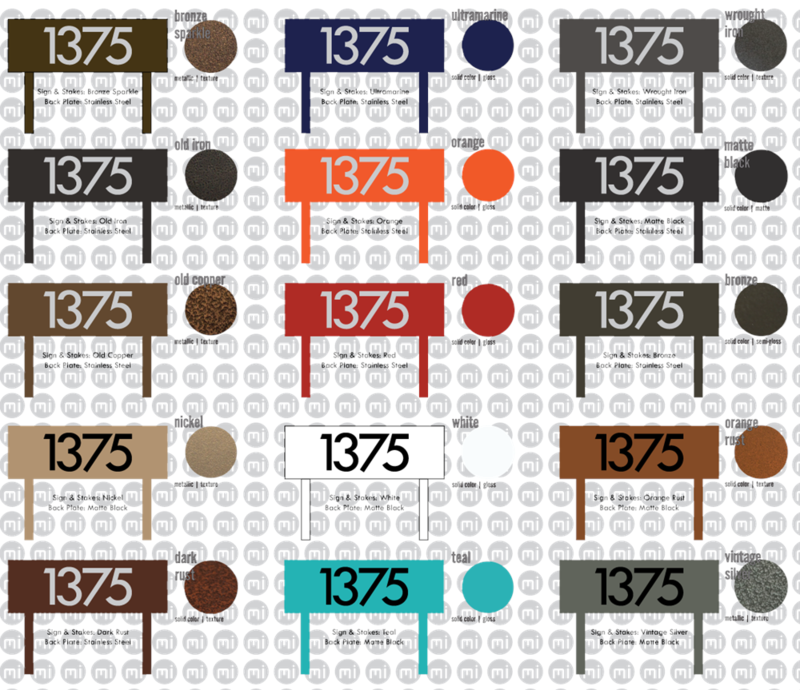 Stainless steel back plate or Matte Black (depending on color combination). 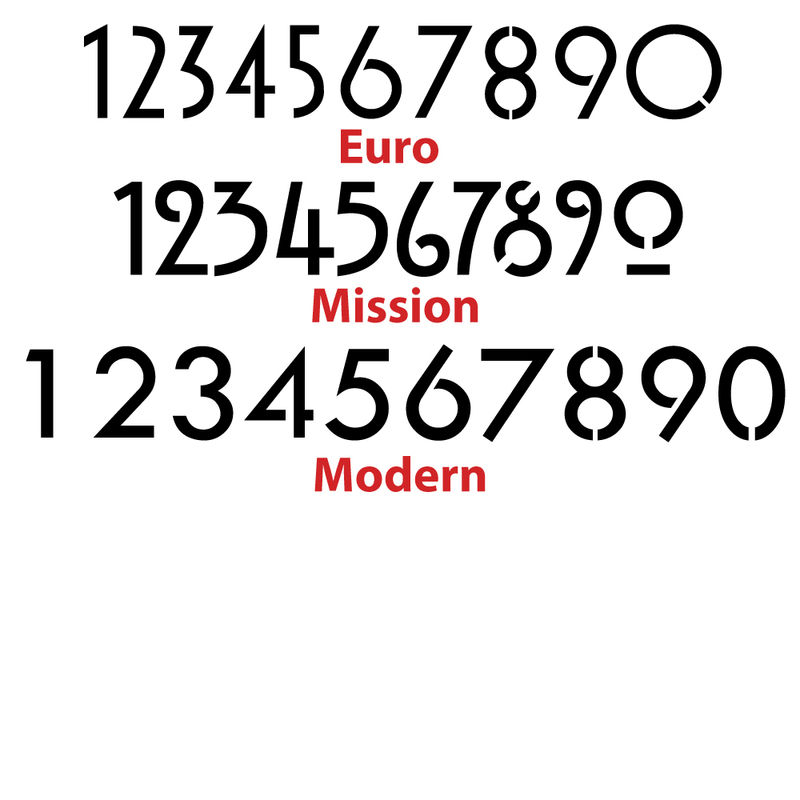 Choose from Modern (as shown), Euro or Mission font styles. Available as shown or as a 2-sided sign. 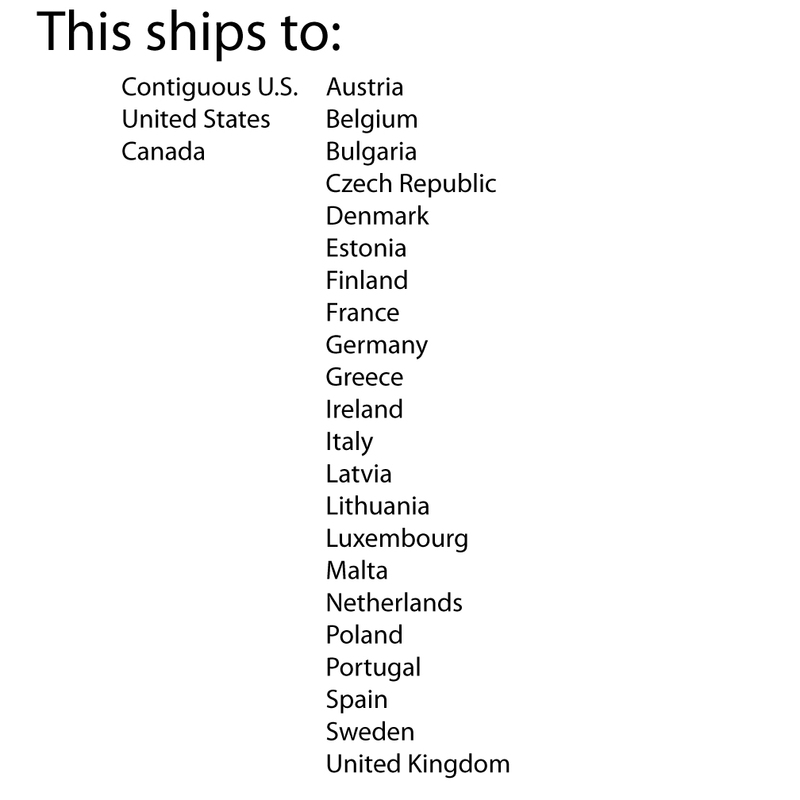 Ships in 7-10 business days. 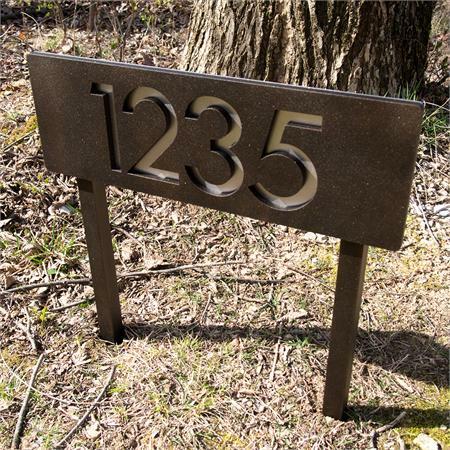 2-sided signs ship in 3-4 weeks.